It is a visual inspection of the structure and components of a home to find items that are not performing correctly or items that are unsafe. If a problem or a symptom of a problem is visible, the home inspector will include a description of the problem in a written report and may recommend further evaluation. Before you close, you need to consider whether or not repairs are needed now and who’s going to pay for them. Emotion often affects the buyer and makes it hard to imagine any problems with their new home. A buyer needs a home inspection to find out all the problems possible with the home before moving in. Review the inspection and make a list of items you think the seller should address and present them to the agent promptly. While the inspection is not meant to be a tool for renegotiations, many times it becomes one. Don’t let your brother or uncle or a friend do it. You are not saving any money by letting a friend look. Even if he is a contractor, it does not mean that he is a good inspector. You need a qualified, unbiased inspection, so when the inspector does find problems, they won’t be easily minimized by the other parties because your uncle or friend did the inspection. 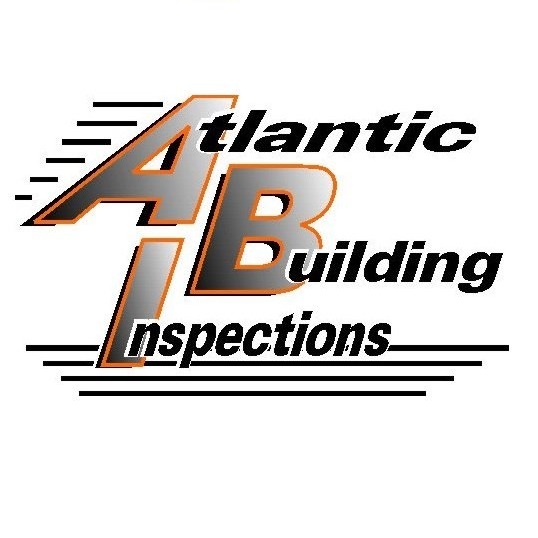 Get your home inspection in Miami at Atlantic Building Inspections. All homes (even new construction) have problems. Every problem has a solution. Answers vary from a simple fix of the component to adjusting the purchase price. If the inspector recommends further inspection by a qualified person, this means that you need to get an opinion from a qualified person before your inspection period runs out on your real estate contract. A home inspector’s report will review the condition of the home’s heating system, central air conditioning system (temperature permitting), interior plumbing, electrical systems, roof, attic, visible insulation, walls, ceilings, floors, windows, doors, foundation, crawlspace, and visible structure. Many inspectors will also offer additional services not included in a typical home inspection, such as mold testing, windstorm inspections, four point inspections, pool inspections, seawall inspections and termite inspections. Atlantic Building Inspections is also offering a Chinese drywall inspection for the home built with defective drywall from China. 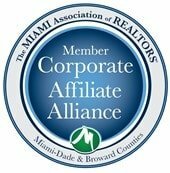 It is provided separately by your trusted home inspection company in Miami. A home inspection is not protection against future failures. Stuff happens! Components like air conditioners and heat systems can and will break down. A home inspection attempts to reveal the current condition of the areas or system of a particular home or property. For protection from future failure, you may want to consider a home warranty. A home inspection is not a code inspection, which verifies local building code compliance. A home inspector will not pass or fail a house. Homes built before code revisions are not obligated to comply with the code for homes built today. Home inspectors will report findings when it comes to safety concerns that may be in the current system such as ungrounded outlets above sinks. A home inspector thinks “Safety” not “Code” when performing a home inspection. It is often helpful to be there so the home inspector can explain in person and answer any questions you may have. It is an excellent way to learn about your new home even if there’s no visible problem. Be sure to give the home inspector time and space to concentrate and focus so he can do the best job possible for you. 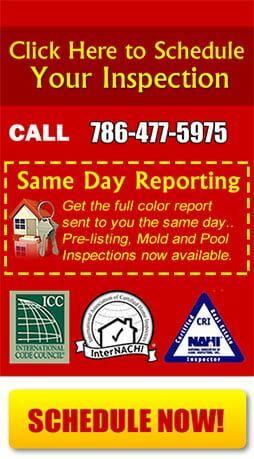 You can schedule right from our website your Home Inspection Miami or call our office at (786) 477-5975.